Internet Addiction | Greetings Earthlings! Meandering through an afternoon of work I received an email and had an epiphany. At the same time. Now that’s multi-tasking for you. I think I’ve become Dilbert, as frightening as that might seem. With due apologies to Scott Adams and with recognition that Universal Features Syndicate holds joint copyright of the strip, I give you today’s adventure from Cubesville. If it’s too small on your screen, just click on it for a larger version. But you know that, right? Save Ratbert, this is my life. Ian over at Getting Confused About the Web recently asked “how do you bloggers blog?” He meant how do we find the time, given busy lives? What motivates us? My answer is simple, and hopefully still sane. With shaking fingers I type it: I blog one word at a time, because I’m addicted. The Internet stretches out my world. So my world gets smaller even as it expands. Now, that’s puzzling. This entry was posted on Friday, March 7th, 2008 at 6:51 pm and is filed under Blogging. You can follow any responses to this entry through the RSS 2.0 feed. You can leave a response, or trackback from your own site. Blogging allows me to share information with and voice concerns to people from around the world. If what little I do makes a small change in someone's life, then my words have been enough. If you would like to find out more about human rights in your region, just click on the logo to visit the Human Rights Watch website. 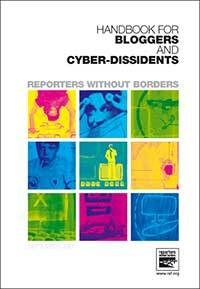 Reporters Without Borders offers a free handbook for people wanting to blog for change. If you're concerned about what's happening around you and need to speak out anonymously, just click on the cover image to visit the handbook page. The book covers the basics of blogging and how to avoid online censorship. If you know anyone else who could benefit from it, please let them know. James Rice is offering the second edition of Take Your Rights Seriously for free online. 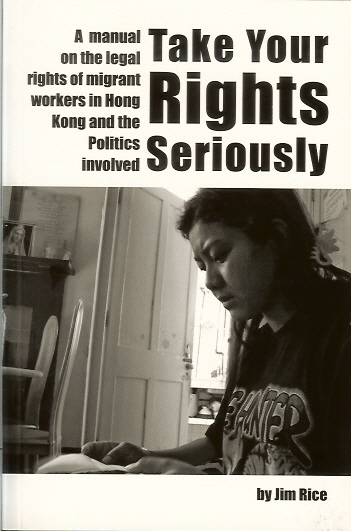 The book provides a comprehensive overview of domestic helper rights in Hong Kong, with a series of practical tips and useful contact details. Just click on the cover above to download a copy. Domestic helpers from other countries are particularly vulnerable to restrictions on their labour and civil rights in Hong Kong. If you know a helper who could benefit from the book, please tell her it’s available here. Mike Poole on Multicultural China? Being Read In . . .
Compiling forty years of melodrama, remembrance, delight and pain, Milan Popovic presents the correspondence of Mileva Maric, Albert Einstein’s first wife and the mother of his three children. Barack Obama vividly captures the pitfalls and triumphs of activism and the personal compromises between culture, race and identity that are needed to engage the world rather than merely live in it. Maybe, But . . .
George Soros might be up to the minute in his analysis of the financial crisis, but the philosophy that frames his argument seems to be lagging in unsophisticated notions of reflexivity from the 1980s. Grasping Reality . . . Most photographs on this site are used under Creative Commons licences. Move your cursor over a photo for its title and the photographer's name, or click on the image itself to visit the page from which it came. Creative Commons is a way of sharing intellectual property and not unduly controlling it. That just has to be a good thing, and the photos really do help make Greetings Earthlings! what it is. I've chosen a Creative Commons Attribution-Share Alike licence for Greetings Earthlings! That means I'm happy for you to use any of the written material here as long as you acknowledge my original efforts. If you change it in any way, that's fine, but you're asked to offer the results under the same licence. Of course, that doesn't cover any of the graphics, most of which I either don't own or didn't create. Still, combined with the similar licences offered by other people for the photographs, that's a whole lotta scope for sharing.